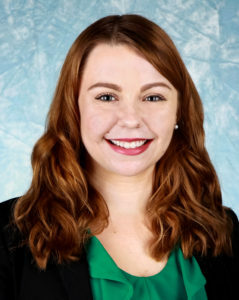 Stephanie Bockrath, government relations specialist, assists clients with the implementation of strategic communications plans, the management of political action committees, and the analysis and reporting on legislation germane to the client’s political position. Stephanie is a recent graduate of Arizona State University studying Political Science and Women & Gender Studies. During her time at school, she held many on campus positions in event planning, student outreach and marketing, and led ASU’s West campus as Student Body President. In 2016 she was a Page at the Arizona House of Representatives and interned at the local nonprofit, Phoenix Sister Cities. Most recently she completed an internship at the State Senate working for Democratic Policy Staff analyzing issues on the Commerce, Finance and Appropriations committees. On a personal note, Stephanie enjoys hiking, watching television, politics, spending time with her two younger sisters and exploring new restaurants in Phoenix and Southern California with her boyfriend.